Los Angeles was the next stop after San Fransisco on my travels of California in April. We flew down to LAX which only took around an hour and a half and was relatively cheap too! Being further south, LA was noticeably warmer than San Fransisco so I couldn't wait to crack out some more summery outfits. LA is a pretty crazy place, you've got people from all walks of life and its sad to see a huge poverty gap between the people living on the streets and those with Beverly Hills mansions. 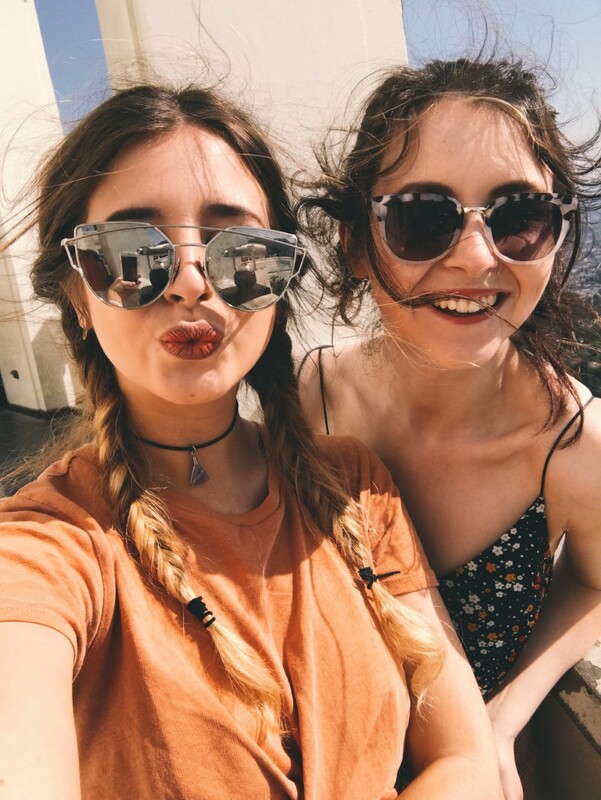 There are definitely areas tourists should stick to, which I'll tell you about below! LA is a pretty big city and finding a place to settle into for a few days can be a little overwhelming to say the least. After finding a glorious air b&b (hello rooftop jacuzzi!) Lindsey and I became set on DTLA - thats Down Town Los Angeles to us non-Californians. Close to the Staples Centre where we had booked tickets to a couple of basketball games (woo go Lakers! 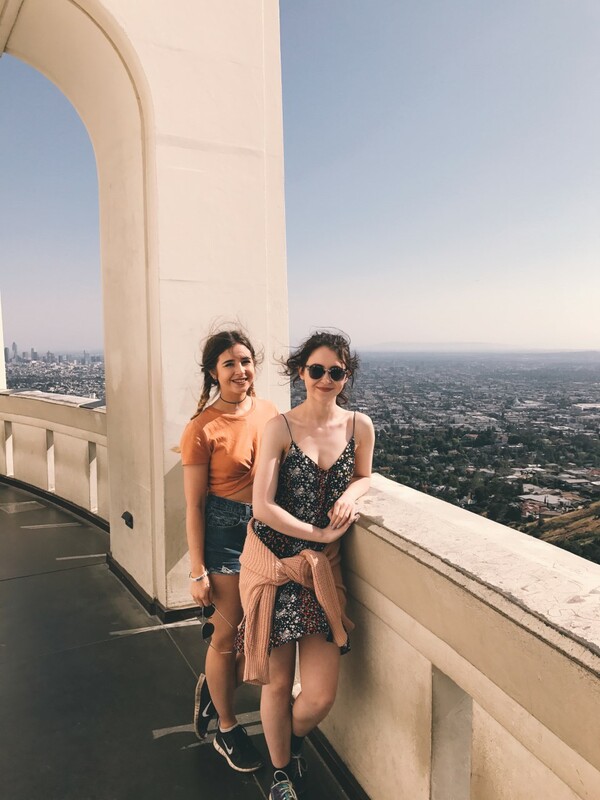 ), DTLA was a good base area for getting around the city as well as a decent hike up to the Hollywood Sign and the Griffith Observatory. 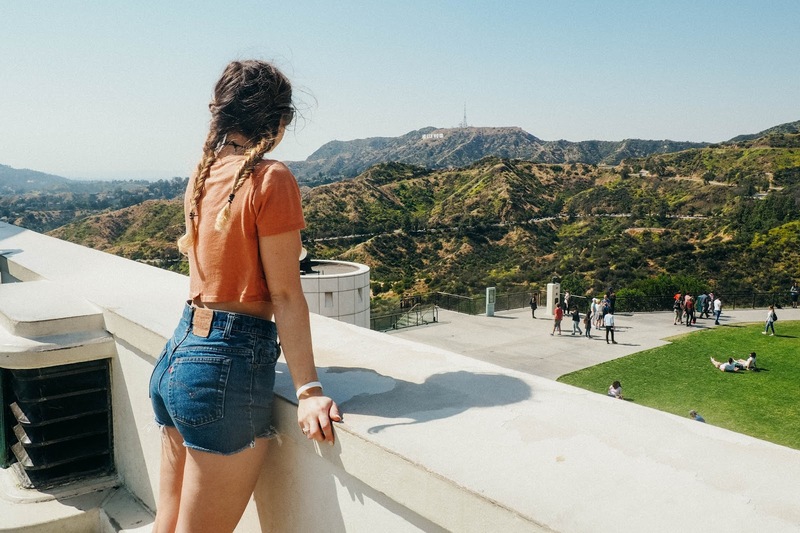 There is seriously so much to do in LA and although I've visited before briefly before, I could have happily stayed a lot longer than 3 nights! 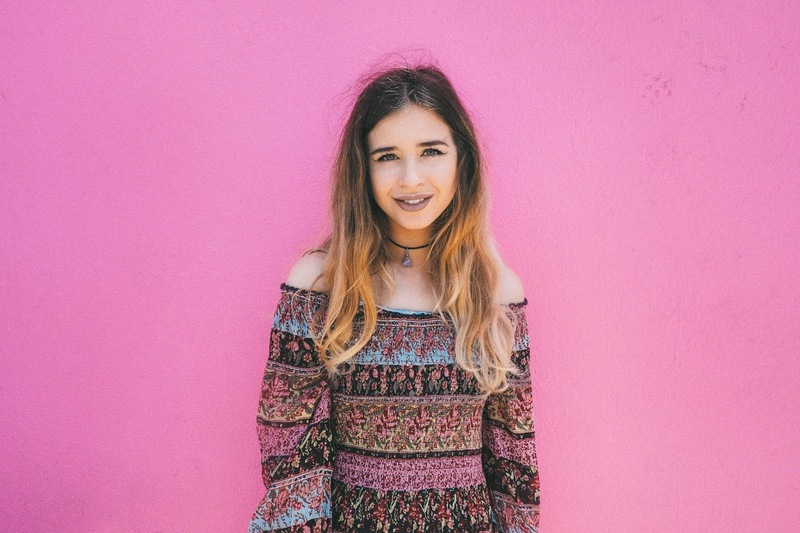 Melrose Avenue - If you didn't get a photo by the infamous pink wall, have you even been to LA? 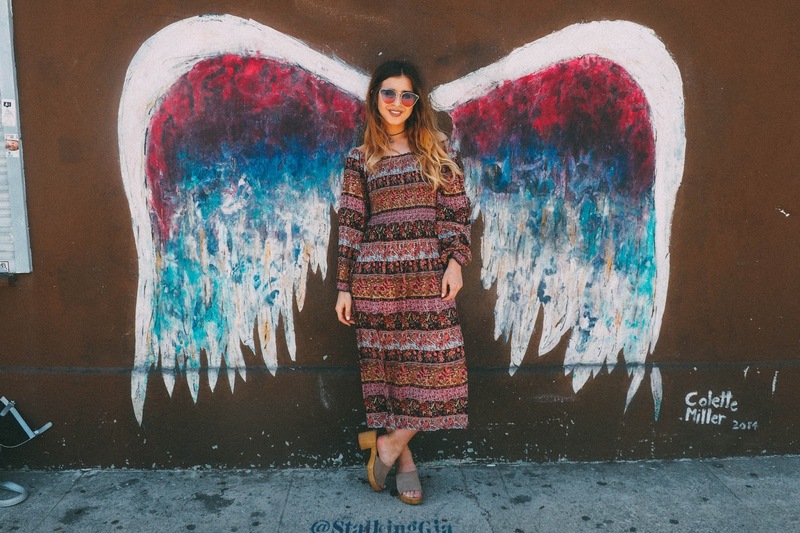 Lols aside, Melrose is a bit of a blogger haven, littered with instagrammy boutiques and some of the best wall art to get those iconic snaps. But hey they're kinda worth it! Paul Smith on Melrose is the home of the pink wall and opposite was the amazing Lady Gaga x Coachella wall. Melrose Ave is a must visit if you're in the city - plus there are some lovely lunch spots too! 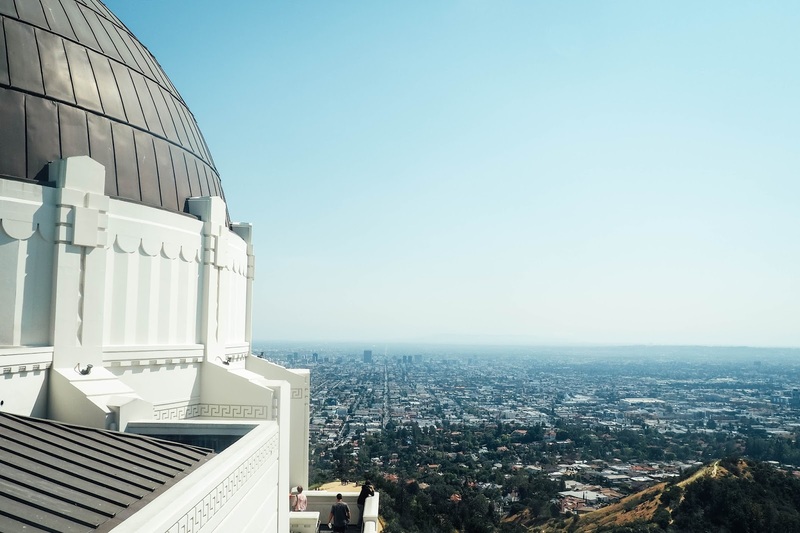 Griffith Observatory - Ok, so if you're a fan of 90210, you might remember the Griffith Observatory being featured a number times and if you've never seen the show - you must watch it now! I was such a big fan as a teenager and I think my fascination with LA mainly stems from that show. 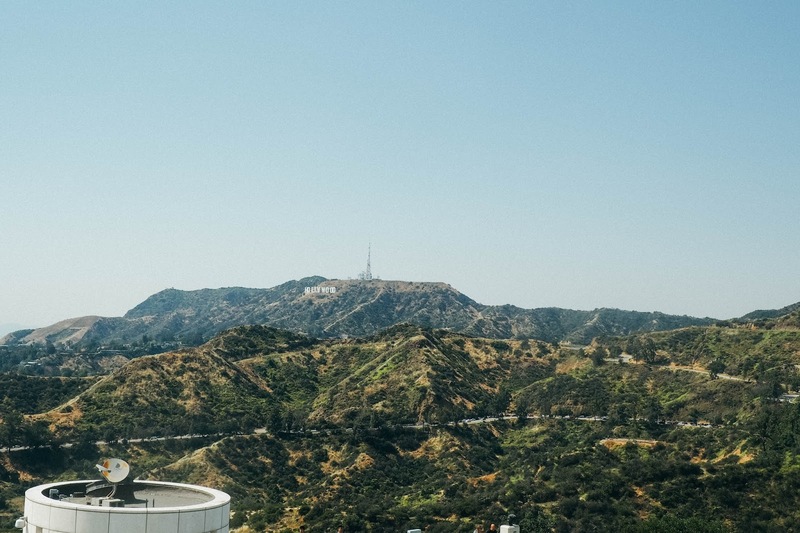 Situated high on the Hollywood hills, the observatory is on of LA's most iconic buildings. Inside, you can go on a trail of the galaxy passing some huge telescopes and learn a lot about the sky and the stars. 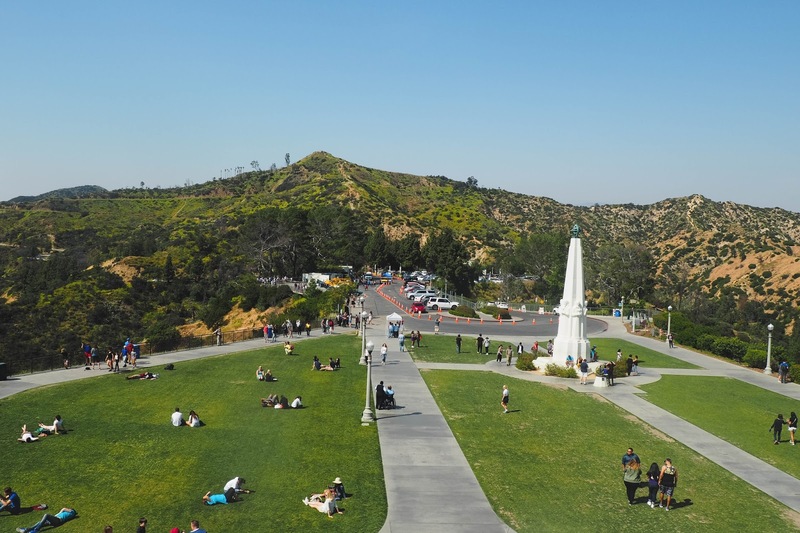 Outside, you have THE BEST views of LA to the left and the rolling hills to the right. Visibility can vary, especially in the spring and summer months so its often a good idea to hike up in the morning, however we were greeted by spectacular views and golden sunshine late in the afternoon too. Make sure to pack sensible shoes and lots of suncream - it gets pretty damn warm! Universal Studios - I didn't think I would like Universal as much as I did... Lindsey and I had such a fabulous day here! Although it is a pretty pricey day out at around $120 entry (approx 92 GBP), Universal is a insanely good day out. The theme park is full of mini themed villages, each with their own attractions, shops and rides. 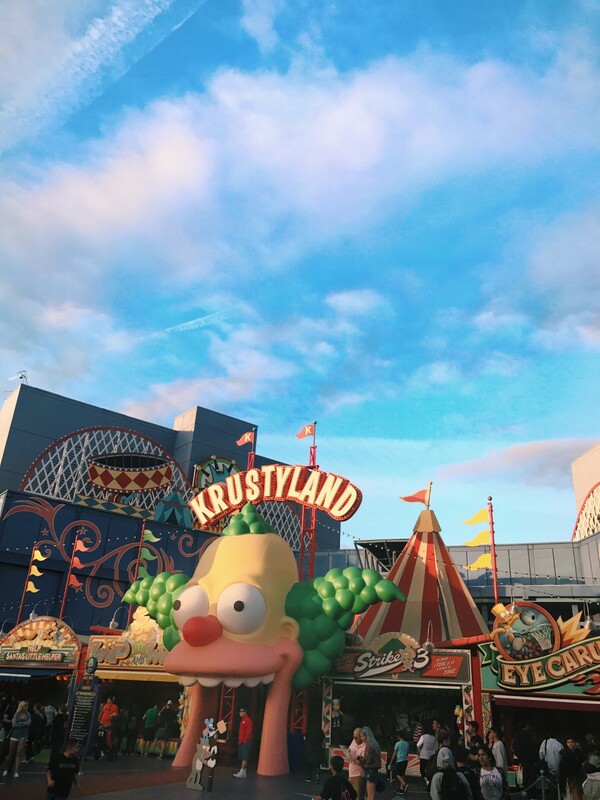 You can be transported to The Simpons's hometown of Springfield (there is even a real life Kwik-E-Mart and Krusty Burger) and then to a very realistic Hogwarts, as well as Minion World, Shrek's Swamp and Jurassic Park. 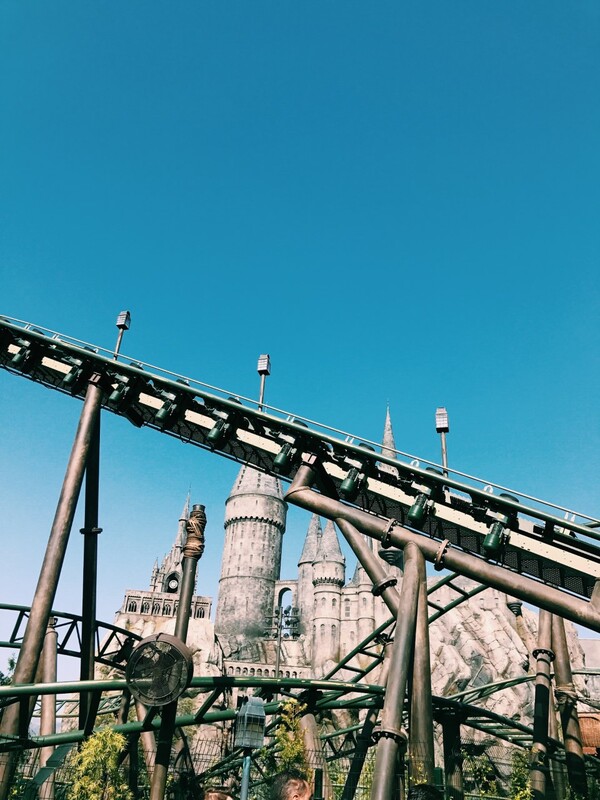 I really think you can have fun at any age here and the Universal Studios of Hollywood Tour is pretty amazing for being beside the purpose-built movie set towns and seeing some of the great cars and props that we're used to seeing on movie screens. If you're visiting LA, make sure this is on your list. 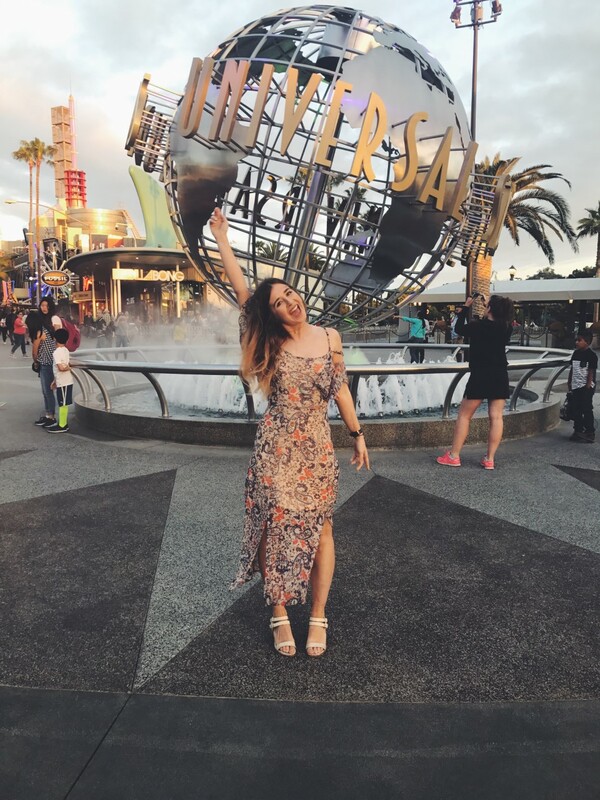 Santa Monica - I'm probably a bigger fan than most of this place - as we share the name, but also, who doesn't love sun, sea, sand and a mini theme park on a pier! From DTLA, Santa Monica was around an hour Uber journey from DTLA, but it was heavenly to have a sea breeze to cool down the LA heat. Lindsey and I spent an afternoon sunbathing here before heading on the rollercoaster and running around the pier like little kids. You can also pick up some great seafood on the pier, I'd recommend The Albright for an excellent clam chowder and calamari. You can shop all my outfits through the Like To Know It widget below. Where things are sold out, I've tried to link something similar! 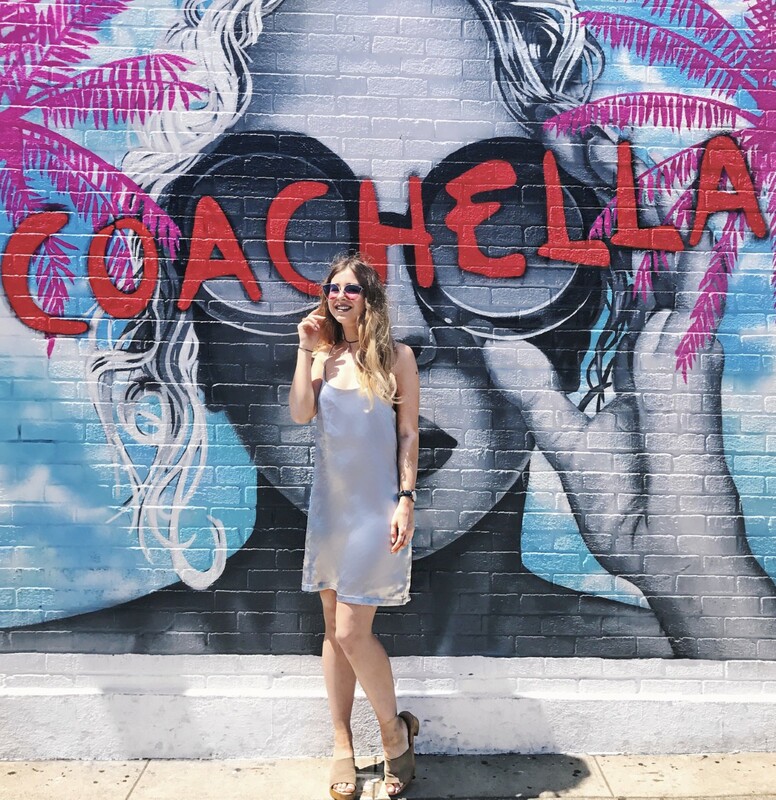 Happy Shopping and I'll be back soon with my Coachella Outfit Diary!